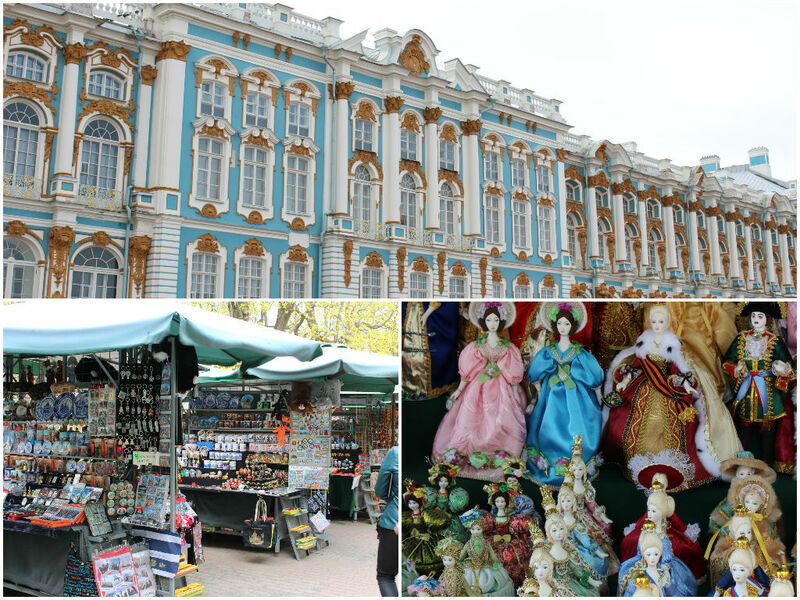 It was Mother’s day on 8th of May and also my mum’s birthday in 2 days, so we decided to go to St Peterburg, the second largest city in Russia, for a long weekend. Weather was a little cold but pretty dry unlike I thought it would be. 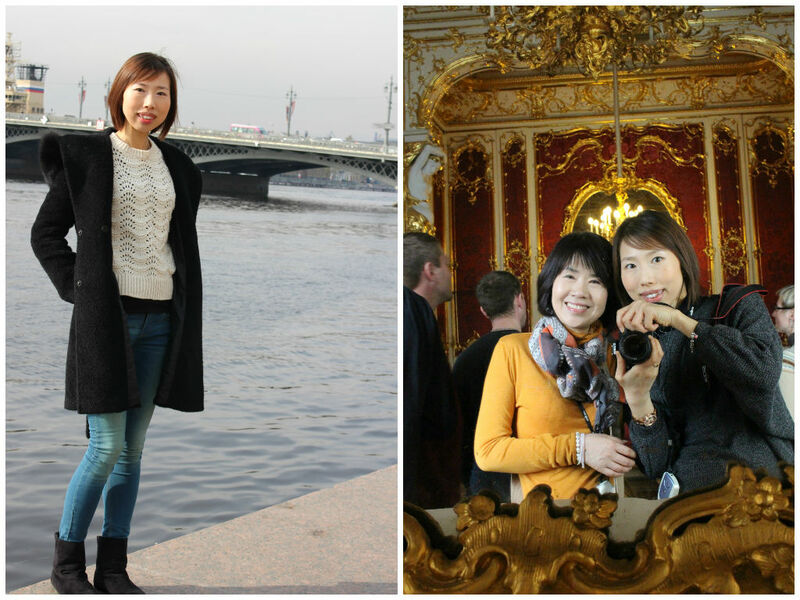 The sunshine reflecting on the Neva river and beautiful European style buildings were welcoming us. Russian food to me was quite rich, meat-dominant and salty. I guess you need more carbs and fat to survive the long-lasting winter times in Russia. 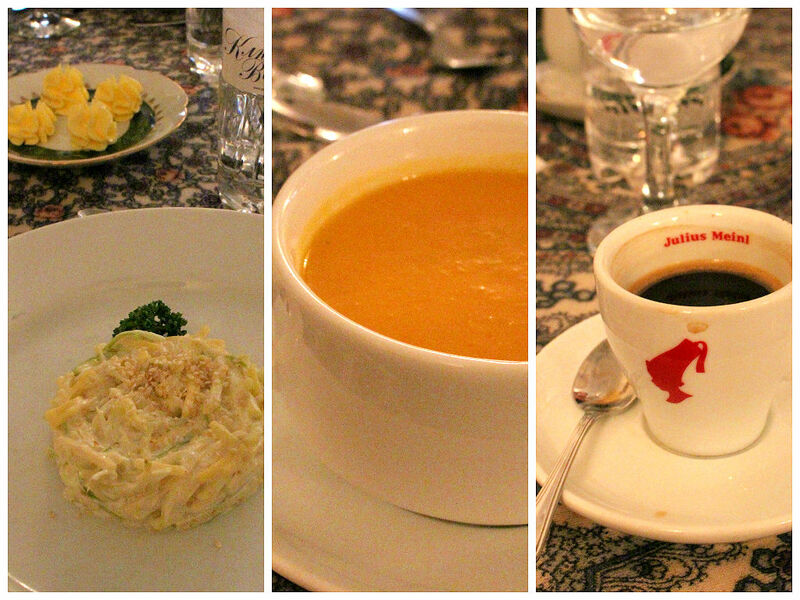 One day, we had a cabbage salad with mayo, creamy pumpkin soup, meatballs for main (which I skipped), apple pie and coffee. 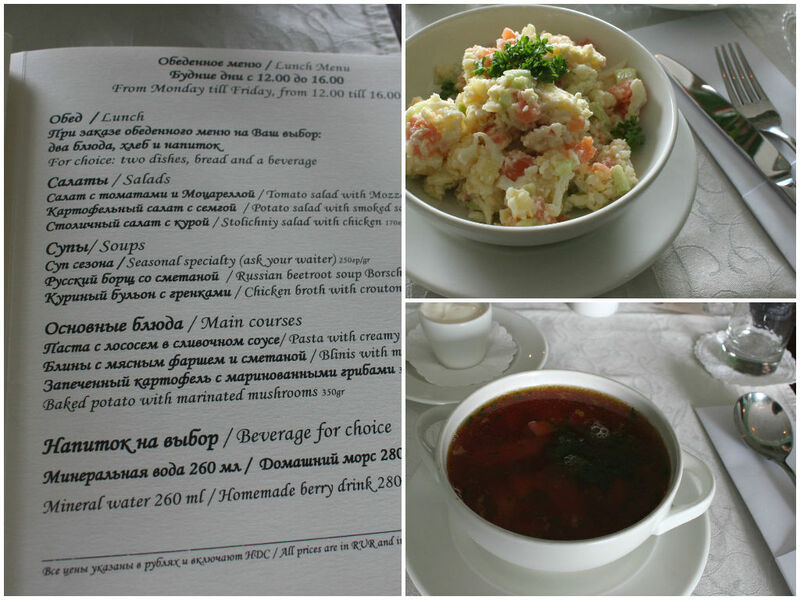 On the very last day, I had an opportunity to stop by a little cafe for Borscht, their traditional beet soup, that I’ve been meaning to try. I made a vegetarian version myself back at home without knowing what the original flavour was like. Well it is based on meat broth with a bit of beets and other veggies and served with sour cream. My mum also ordered a potato salad, which was again with loads of mayo. 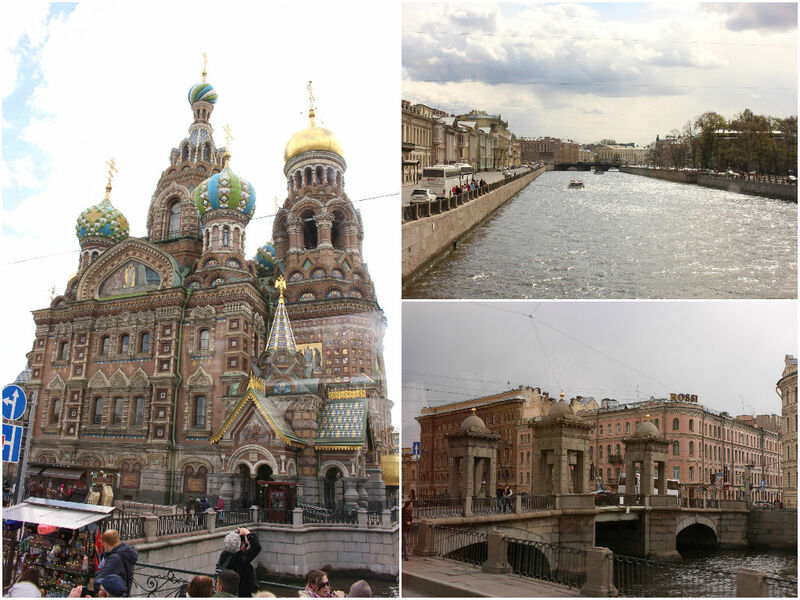 If you are a strict vegetarian/ vegan, you probably need a bit of research before you travel Russia (well nevertheless, where ever you go I guess). You can make smart choices at the restaurant – ordering fresh salads with dressing on the side or asking for vegetarian options. It is even better if you can prepare healthy breakfast and snacks at the hotel and explore local farmer’s markets. Mum and I joined a tour group, which means we didn’t have any of those options and had to have a set menu for four days. I was craving for a big bowl of salad on the way home as you can imagine. 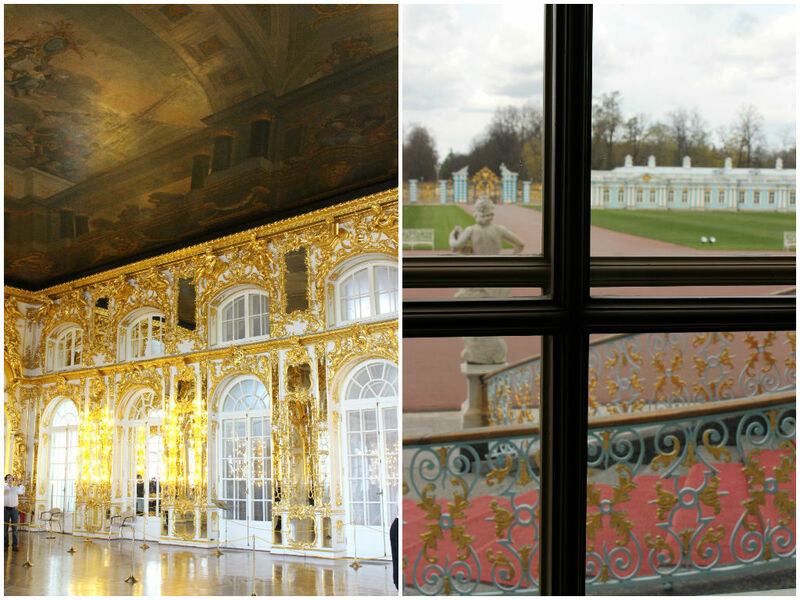 Overall, it was only four days in St Peterburg, but I was glad I got to taste Russia and thoroughly enjoyed time spent with my lovely mum.